Uber is starting to ask what airline you’re flying when you ride to the airport. This rolls out first at New York JFK and LaGuardia, will eventually expand to other large multi-terminal airports like San Francisco. This allows them to price longer rides more expensively and estimate trip time better. The Congressman who used campaign funds to pay pet in cabin fees for his rabbit has been indicted for converting campaign funds to personal use. Horrifying accusation against US customs, body cavity searches where agents don’t change their gloves between women they insert themselves into, men inappropriately touching teen girls. No matter what you think the government’s authority should be at the border, people they’re searching should be treated with dignity especially when there’s no evidence to suggest wrongdoing and they’re simply subject to ‘random’ inspection. Cathay Pacific’s pilots union says almost half its members want to leave the airline. They won’t, of course, thanks to unions. Seniority rules lock employees into staying with their employers, since switching means less pay and less desirable flights. There’s no indication they get this irony. New luxury Taiwanese airline coming from the son of the founder of EVA Air in 2020. He was forced out as Chairman of the airline by disaffected family members after his father’s death. 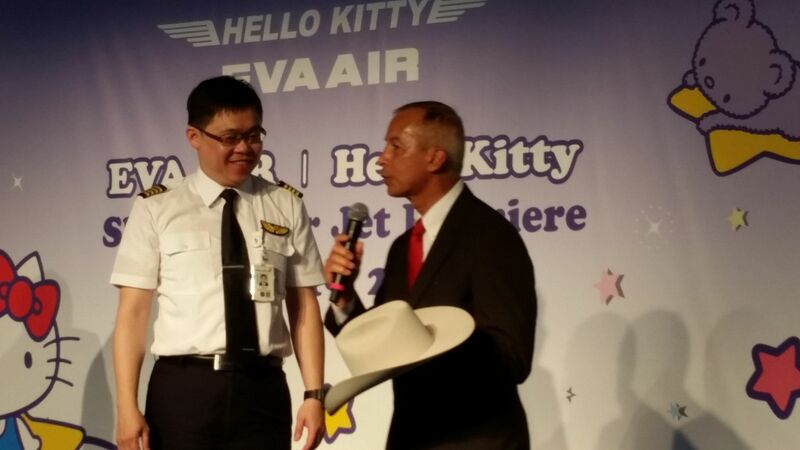 I met him when he piloted EVA’s inaugural Taipei – Houston flight in 2015. Not for nothing but after Lamar Muse was forced out as the founding President of Southwest Airlines in 1978 and replaced by Herb Kelleher, Muse Air (later TranStar) was founded. It was often referred to as Revenge Air flying jets on intra-Texas routes. Southwest Airlines eventually acquired the carrier. A United flight diverted after someone who later turned out to be an air marshal demanded to see the flight manifest and flashed their gun. You know that in non-union places, seniority still often is used in determining who gets first choice in assignments. You keep making unions your straw man, which is really weak thinking. Unions have their problems, so you don’t have to add additional ones that are made up. We need much stronger safeguards to protect us from these out of control customs agents who commit such indignities on people. And I don’t like to see my tax money going to pay off victims of US government employees who don’t know how to treat people decently and who apparently are not held accountable. These customs officers should be placed on trial for assault. As long it’s only the taxpayers on the hook for their unconscionable actions, they don’t care. Our liberties are deteriorating fast. I generally like your blog, but I REALLY can’t stand the constant union bashing. It’s unnecessary and misleading. Given the huge accomplishments of labor unions over the past 100+ years (child labor protections, occupational safety regulations, minimum wage laws, etc, etc), you should show some gratitude and respect for what they’ve accomplished. Workers died to ensure better working conditions for everyone and seeing you spit on that sacrifice is sickening. Yup, you’re right. There are a few non-airline unions in the US, and I’m hard pressed to think of one that doesn’t do trip assignments and pay just like a union shop. Gary blames this on the unions, but management loves it too, so the system isn’t going anywhere. Why does management love it? They get the upper hand in labor negotiations, particularly when revenue is soft and concessions are needed. They can demand 10% (or 20% or whatever) reduction in pay, and tell the pilots if they don’t like it, they can either go work elsewhere or risk furloughs. Since “going elsewhere” is a massive paycut (at newhire pay) they have no choice but to take it in the shorts. Plus, when hiring is done, all hires are brought in at first year pay. What else could management ask for? No, this isn’t something to blame only the unions for. Both sides agree to the system, even at non-union carriers. In General: Seniority is only a factor for bidding/assignment in the US – the rest of the world uses fair share. The unions in the US would never want to switch to fair share. Cathay lost big on fuel hedging and have to cut costs. Cathay pilots are among the best paid in the industry – so this is where they look to cut. cuts to benefits/pay = unhappy pilots.